Experience close encounters at one of Africa’s best national parks! Zimbabwe’s Mana Pools – small ox-bow lakes surrounded by lush vegetation and ancient mahogany and ebony trees, offer some of the most relaxing game viewing experiences. Over the last millennia, the mighty Zambezi River has created many islands, channels and sandbanks in the Lower Zambezi Valley, which are flooded after the rainy season. The lakes are rich in elephants, buffalos, hippos and elands, especially in the dry season. You can see many predators roaming the stretch and thousands of birds on a walking or canoe safari through the network of islands. Whether on foot, by car, or on a canoe, come and join in for the safari of a lifetime at the exclusive Goliath Safaris Luxury Tented Camp in the heart of Mana Pools National Park! 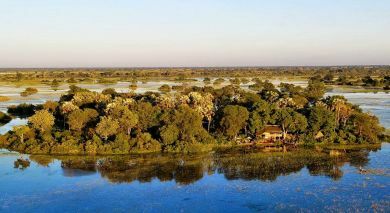 Nestled in the most remote part of Mana Pools, Kanga Camp is situated in an area of untouched, unspoilt natural beauty with its vlei lines, river systems of the Ruckomechi river, woodlands and forests. Mana Canoe Safari is a luxurious mobile camp where you leave camp with the sunrise and leisurely canoe your way to the next camp. Ruckomechi Camp accommodates guests in ten spacious en suite tents, including a honeymoon suite, all of which overlook the Zambezi River. 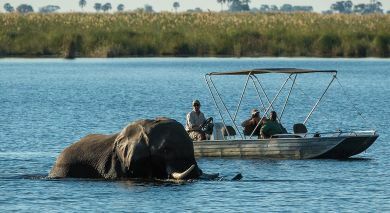 The Zambezi Expeditions Camp is located on the banks of the mighty Zambezi. The luxury mobile camp with provides guests with the opportunity to canoe and fish, either from the river bank or off an island in the middle of the river. Explore the diverse wildlife around you on adventurous game drives in early mornings or late afternoons in open Land Rovers. A coffee break or a sundowner in the midst of wilderness completes the safari experience. 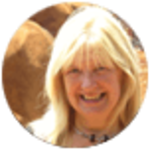 You can also opt to explore the bush on foot, in the company of a professional guide who offers fascinating insights into the flora and fauna of the region. Enjoy the magnificent view of the vast Zambezi River while cruising on a speed boat, or bend low in a canoe and get as close to the birds and wildlife as you possibly can. You can indulge the fisherman in you by fishing in one of the many common fish species, such as catfish, tigerfish, and bream, found at Mana Pools (at an additional cost). 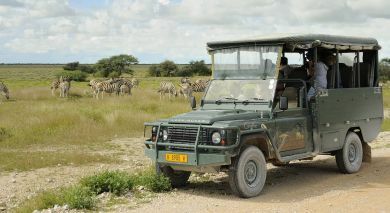 For those looking for adventure, a game drive at Kanga Camp is just the thing to experience. Leopards and wild dogs can easily be spotted in this game-rich region. In the dry season, you don’t even need to step out of the camp to view the game, as the nearby pan brings a throng of animals directly to you. If you want to experience true African wilderness, you can take a guided bush walk where you will not only learn about the flora of the region, but also get a chance to track lion on foot. Canoeing along the Zambezi flood plains in Mana pools offers a splendid view of the untouched wilderness, as you cruise along at your own pace. Fishing on the Zambezi River is another activity that offers a heady combination of peace and thrill. Try your hand at reeling in the famous tigerfish, or the delicious bream. At Goliath Safari Camp, every day brings new adventures to your doorstep. Take a game drive in an open vehicle and track lions or the wild-dog, or sight elephants, buffalo, the occasional leopard, crocodile, and hippo. Explore the wilderness on foot with Stretch Ferreira, well-known for his close relationship with some of the elephant bulls and lion prides. Relax on the banks of the river and gaze at the endless beauty all around. If gliding down the river is more to your taste, canoeing on the Zambezi could be just what you are looking for. 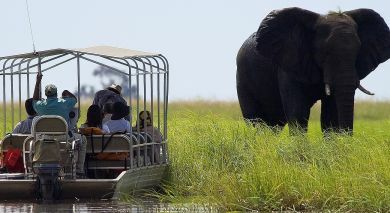 The riverside is dotted with the presence of elephants, hippos, crocodiles, and other animals. Or you could grab your own tackles and try your hand at fishing. A range of activities offered by the Zambezi Lifestyle Camp will leave you with unforgettable memories. Satiate the adventurer in you by exploring the African heartland on a game drive in an open Land Cruiser. Enjoy the spectacle of thriving wildlife – eland, elephant, African wild dogs, water buck, and leopard, in their natural habitat. On bush walks, with professional guides leading the way, you can comfortably trail through the beautiful paths and spot large animals while gaining insights into their behavior. If you are looking for a thrilling ride, there is no greater adventure than canoeing. You will not only experience tranquility but also get a chance to glimpse grazing elephants and buffaloes while you silently pass by. Take your fishing rod and catch the fierce tiger fish or the tasteful bream that thrive in the river.